Indiabulls isn’t buying out Lakshmi Vilas Bank. It is making a bid for banking licence. And the ball is now in RBI’s court. This is for the first time a serious request for a banking licence is being made to RBI after August 2016 when it issued guidelines for granting banking licences on tap. So what do the regulations say? The regulations require that a group to be a promoter of a bank must not have more than 40 percent of its income from non-financial businesses. Indiabulls group more than satisfies this, as its real estate and other ventures don’t account for more than 15-20 percent of the group’s revenues. There is a reason why promoting groups should not have non-financial businesses. The regulator’s worry is that the promoter entity should not be using depositors’ money to give cheap loans to clients of its other business. But the most important requirement from a promoter, which the RBI states upfront in its guidelines, is that “the promoting entity and the promoter group should have a past record of sound credentials and integrity”. This then will be the high bar that Indiabulls group and indeed any applicant for a banking licence has to cross. What does RBI mean by “highly leveraged business” and why would RBI warn that it will issue licences only on a very selective basis? Now let us look at the issue as citizens. When a depositor deposits money in his savings account he gives an uncollateralised loan to the banker for just 4 percent (If it is a term deposit he is giving an uncollateralized loan to the banker at 6-7 percent). The question we need to ask ourselves is “will we be willing to tell our retired grandparents to give their savings as an uncollateralised loan to ABC group?”. The answer will be ‘yes’ if you are satisfied that this group has an impeccable record of investing money and always returning it when asked. The government of the day has to be even more careful about who gets a banking licence. No country, however capitalist, lets its banks fail. The United Kingdom didn’t let Northern Rock fail. India didn’t let down depositors of Global Trust Bank. If a commercial bank fails, regulators ensure its depositors are paid out of the taxpayers’ money. So governments, while giving licences, have to make sure that the group getting the licence will never be so aggressive in its investing that it is one day called upon to bring in taxpayers’ money to save the licensee’s depositors. 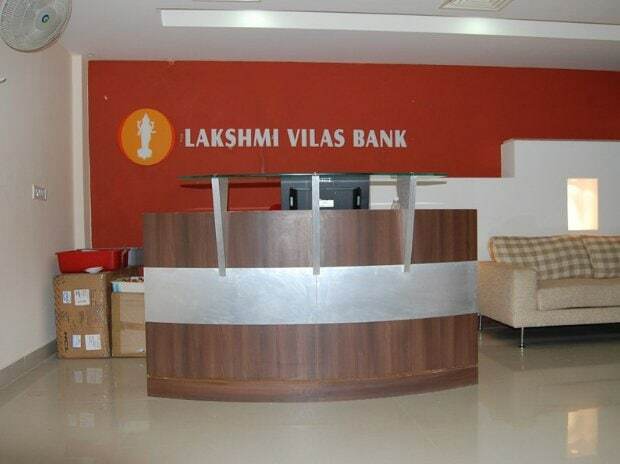 There is an argument being made that Lakshmi Vilas Bank needs a strong promoter as it has been making losses. The bank has just raised capital and may be already compliant with RBI’s requirements. LVB has all of Rs 25,000 crore in advances and about Rs 1700 crore of unprovided bad loans. If push came to shove, the regulator can merge LVB with a Canara or an SBI quite easily. LVB’s weakness is no reason why the regulator will lower its standards of “fit and proper” towards a new licensee. Short point: While RBI that will have the final say, the sovereign has a stake in ensuring only the most trustworthy promoters are given a banking licence. Likewise, every citizen needs to know that the licence to take a saver’s money is a massive power and it needs to be entrusted to only groups of very high probity. Let me end with a story that I heard from an old RBI source. In 2004, deputy governor Usha Thorat was asked to draft what RBI means by “fit and proper”. She pondered for long and asked her governor Y V Reddy as to how she should go about it. Reddy is believed to have told her, “I will give banking licence to a person I trust enough to give my daughter in marriage”.